Using only natural ingredients and made with 72% minimum cacao solids, these cooking chocolate drops from Willies Cacao are just the thing for cake making and dessert recipes. The easy to melt dark chocolate drops have complex notes of coffee and nut and are made using very traditional machinery in the Willie’s Cacao chocolate factory in Devon. May contain traces of nuts. 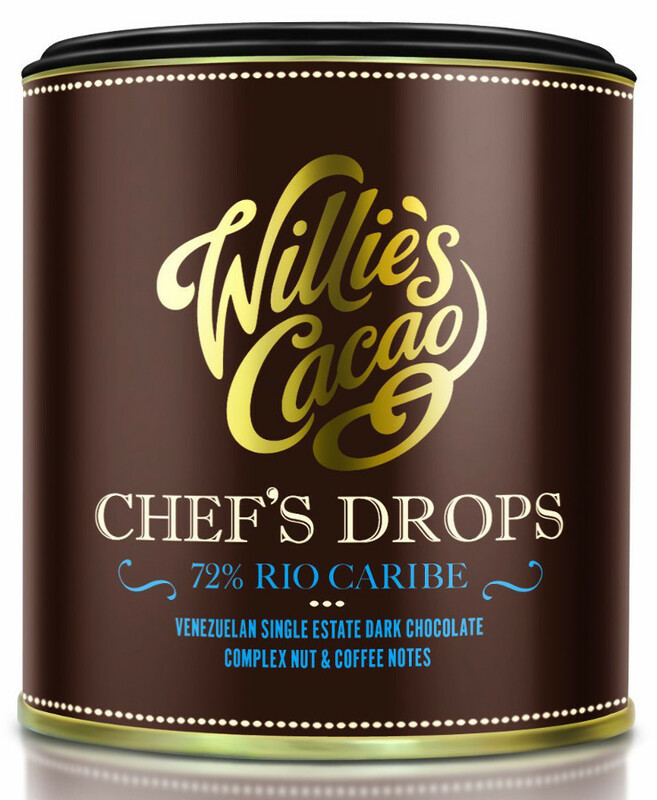 The Willies Cacao Venezuelan Chefs Drops Cooking Chocolate - 72% Rio Caribe - 150g product ethics are indicated below. To learn more about these product ethics and to see related products, follow the links below. Amazing! Had to chop them up to get them the right sort of size, but taste fabulous. 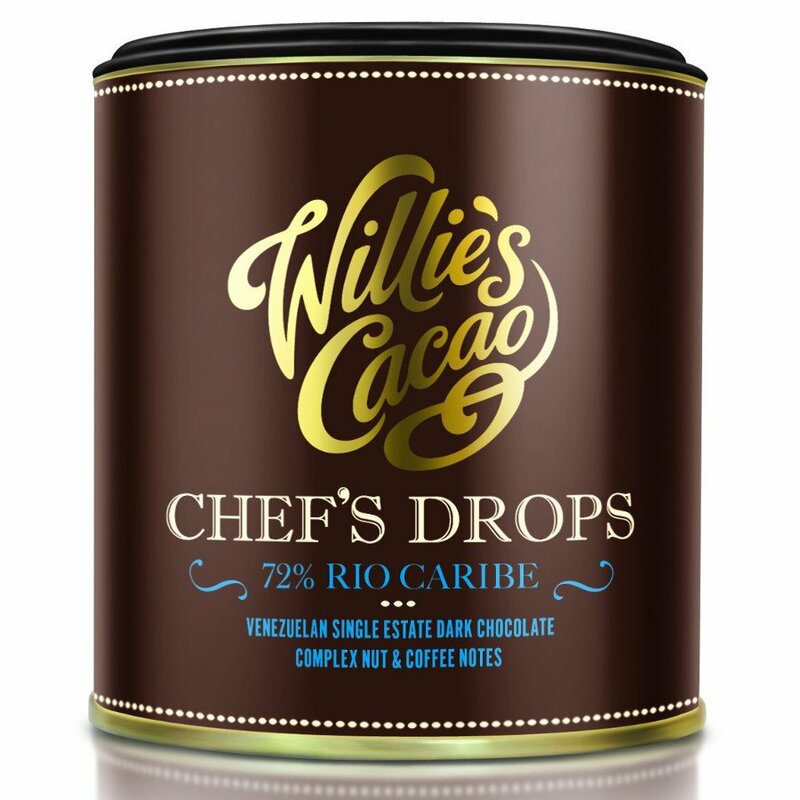 There are currently no questions to display about Willies Cacao Venezuelan Chefs Drops Cooking Chocolate - 72% Rio Caribe - 150g.